Tyson, I know you are frustrated with the whole Haye situation. You are a top heavyweight with top people behind you. You want to fight the best and have always stepped up to the plate. Forget retirement. You have a long and bright future in front of you. We at Team Wilder understand. 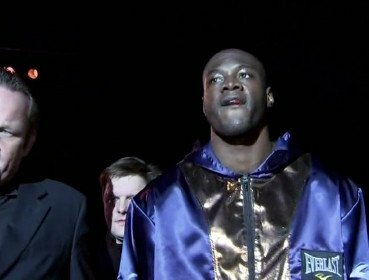 We believe you and Deontay are the two best young heavyweights in the World and a fight between the two of you would put true heavyweight boxing back on top. We want to make this happen. This is the single biggest heavyweight fight that can be made now and the fans deserve it. You deserve it. Deontay deserves it. You both should be paid accordingly and in line with the magnitude of the event. Every single person or corporation that would have attended, bought pay per view, sponsored, advertised or otherwise supported you vs. Haye would jump on board for you vs. Wilder. How could they not? Two big, athletic, gifted, tough, strong, undefeated heavyweights with personality and punch in the same ring at the same time with everything on the line!!! You vs. Haye was a domestic clash with worldwide impact. You vs. Wilder is an international clash with worldwide impact. To be clear, we are not asking for Haye money. We are asking to be respected financially for being one half of the biggest heavyweight fight of the year. We want the fight. We are willing to come your way. We have been to the UK several times before and loved it. In fact, it’s as well as we’ve ever been treated. I grew up on Bruno, Lewis, Mason, Benn, Eubanks, Collins, Pyatt, Graham, Watson, Honeyghan and the like. (Was ringside for my friend Sumbu Kalambay vs Pyatt and watched Kel McKenzie-Paul Harvey steal the show)! Deontay wants to come your way. I do too. Mick has my email. Time is becoming a factor. We need to have this wrapped up soon so as to keep the Feb. date. As for credentials, I am Jay Deas, co-manager of Deontay Wilder along with Shelly Finkel and advisor Al Haymon. Our promoter is Golden Boy. I am day to day with Deontay as Peter is with you. I co-train Deontay along with Mark Breland, cut man Russ Anber and Camp Director Cuz Hill. We look forward to hearing from your team.